The XTM Womens Stuff It Jacket is made from 905 duck down. Made from a durable Nylon Shell that is windproof and water-resistant, the jacket can be stuffed away into a hidden internal pocket for convenience. 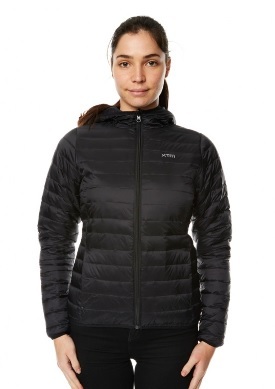 The stuff it jacket has a tailored cut to fit the female shape and is a must have for travel or ski mid-layer. Hook it onto a backpack or use it as pillow, this is the perfect travel jacket.